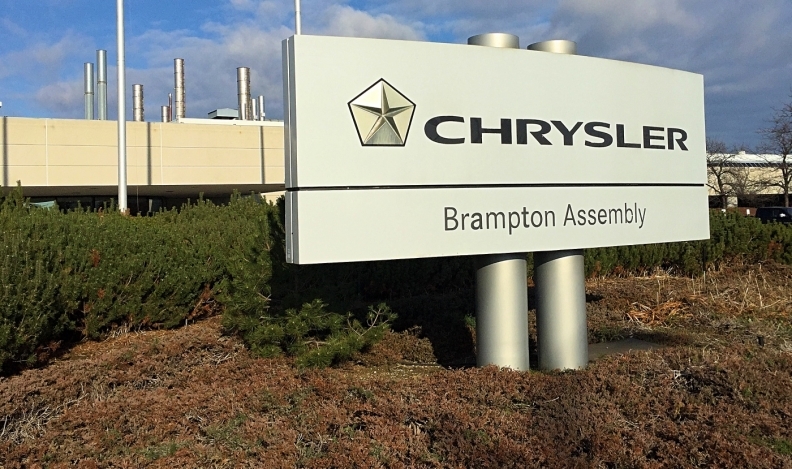 Brampton remains one of FCA's most efficient and productive plants. Fiat Chrysler Automobiles Canada has been fined $140,000 by the Ontario government after one of the automaker’s employees was injured at its Brampton, Ont., assembly plant. FCA pleaded guilty after a worker suffered head injuries when bolts failed on a transfer press undergoing maintenance on July 26, 2015. The company was fined Sept. 27. A worker was performing annual preventative maintenance on the clutch of a transfer press known as the D-Line Press, a machine used to manufacture automobile door and fender panels, when the injury happened, according to the Ontario Ministry of Labour. Three workers were removing bolts connecting a clutch plate to other components of the clutch assembly when two bolts from the clutch spring assembly fractured and were ejected at high velocity. One worker was struck in the head by a clutch spring assembly, lost consciousness and suffered injuries. The Ministry of Labour's investigation found that each time the press completed a cycle, a force was applied to the clutch spring assemblies that could separate the bolt connections. Because the force was applied repeatedly, the bolts progressively deteriorated and eventually fractured. The company and workers were aware of periodic breakage of spring bolts. Modifications were made, but bolt failure continued to occur. FCA pleaded guilty for failing to take every precaution reasonable in the circumstances to protect a worker from the ejection of parts from the transfer press when performing maintenance work - a violation of the Occupational Health and Safety Act. FCA Canada didn’t immediately respond to a request for comment.